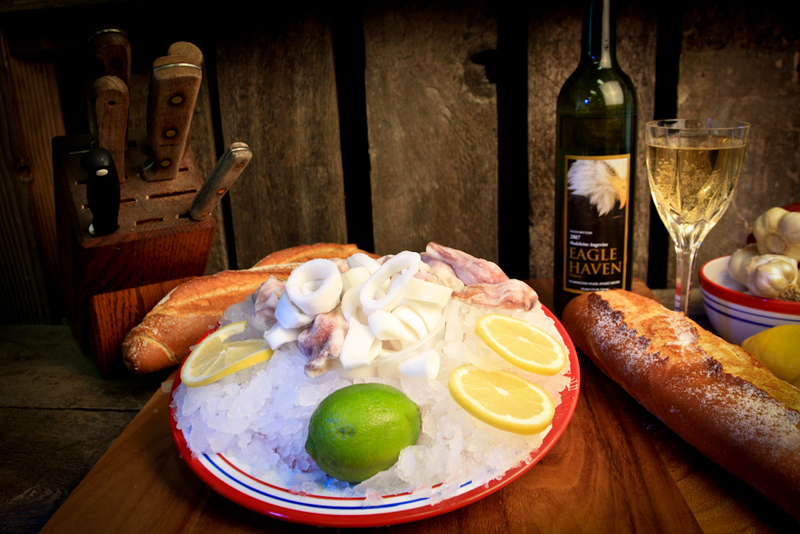 Pacific squid is perfect for salads when lightly marinated or pickled. It is also wonderful sauteed in olive oil or deep fried. Pacific squid is available two ways, either in steaks or rings and tentacles. 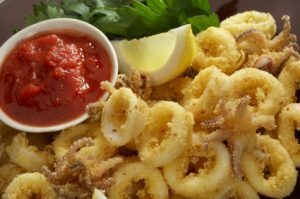 Cooked squid is mild and has a subtle sweetness. The meat is firm yet tender. Illex squid has large, 8- to 12- inch tubes and is coarser than loligo. Raw squid meat is ivory beneath a naturally speckled membrane. Cooked squid is opaque white and firm. Fresh or thawed squid should be moist, shiny and ivory colored. Pink, yellow or purple flesh indicates deterioration.